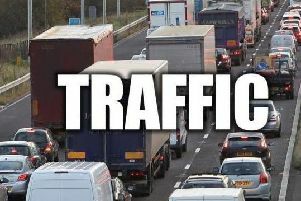 M1 delays: What is causing problems on the motorway between Sheffield and Wakefield? Three separate incidents on the M1 motorway have caused delays for drivers travelling between Sheffield and Wakefield this morning. Each resulted in the closure of a lane on the northbound carriageway, leaving traffic moving slower than usual.